So, how’s May been for you? I was mildly surprised this week to find it’s almost over, surely it can’t have gone by quite that fast. I seem to have walked in a lot of rain lately, which has had the benefit of making everything smell wonderful, although the elderflowers are refusing to come out until they get some more warm sunshine. There has been some stitchiness, but I’m having real trouble getting this one to photograph – this is the best shot I’ve managed so far. Is it me, or does my phone simply not like doing bluey shades – anyone else have this problem? Otherwise, it’s all been a bit of a blur. Did manage a quick trip to Berkhamsted Castle yesterday (dodging the rain – just!). There’s a post over at Mists of Time if you’re interested in ruined castles that had a lot of big name medieval visitors… (oh I know, no need to feel guilty). 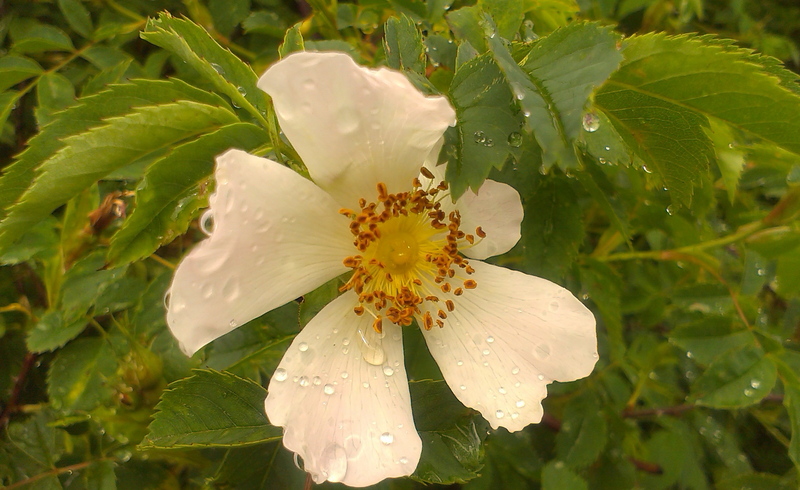 Those flowers cry out to be embroidered. 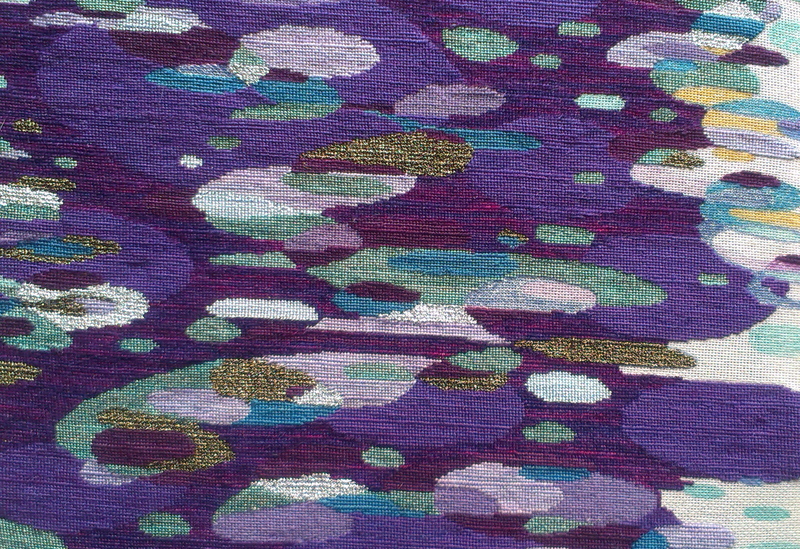 I love your stitching – it makes me think of those little sparkles and pools of light you get shimmering on the surface of a pond. Beautiful! Thank you. I’m glad that’s what you see because it was inspired by the greeny silk which is called Moonbeams on a Mystic Ocean – who could resist! The stitching is lovely – and blue is a notoriously difficult colour to capture truly in a photograph. Bluebells never seem quite right in my photographs. Used to visit Berkhamsted & knew about the ‘castle’, watched a TV programme about it, drove by it a good few times but never explored it. Will pop over to Mists of Time for your views.PS. I bought The Good Knight on your recommendation,not started it yet though. You might appreciate ‘I Murdered my Library’ by Linda Grant, if you haven’t already read it. I’m glad it’s not just me struggling with blues – I have a Mac full of bluebell photos this year and all have somehow miraculously turned green – aarrrgh! I’ll check out the Linda Grant recommendation, thank you. Berkhamsted Castle demands a lot of imagination; our ancestors weren’t as fixated on preserving the past, I suppose a ready supply of stone was quite a bonus. Exquisite work which calls to my mind Monet’s waterlilies. I’m popping in to say ‘hello’ and I know I’ll be back for more. Here in France we’ve had a very rainy and, consequently, green May. The elderflowers are omnispresent and every time I open my children’s bedroom window I am greeted by their scent. Stephanie, hello, you’re very welcome. 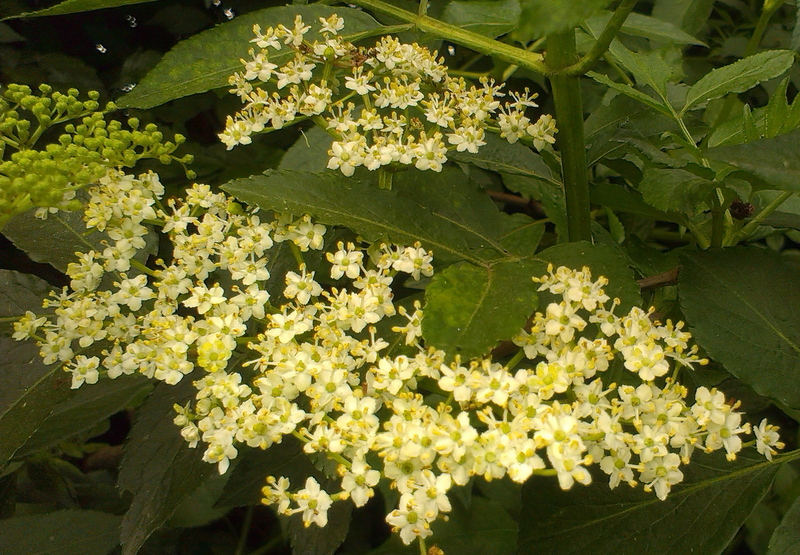 The scent of elderflowers is so emotive – I had a great uncle who made wine with them and I can never smell it without being transported back to his house and tiny glasses of rich yellow elderflower wine. Funny you should think about Monet, I’ve been known to spend ages staring at Impressionist paintings and mentally breaking them down into coloured stitches – just wish I could work the other way around! Hope the sun soon shines on France again!